The Advanced Hedging Strategy is another binary trading strategy that enables the traders to make slow but safe profit by giving them the chance to either enlarge their profits, or reduce the loss by opting for purchasing another Call or Put option in the opposite direction. In this money management technique, the percentage of loss is reduced to a great extent. 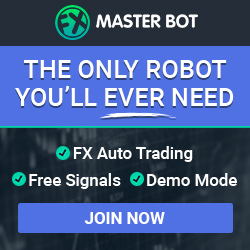 This strategy is very popular among traders and they are applying it to the binary trading too to make profit steadily. 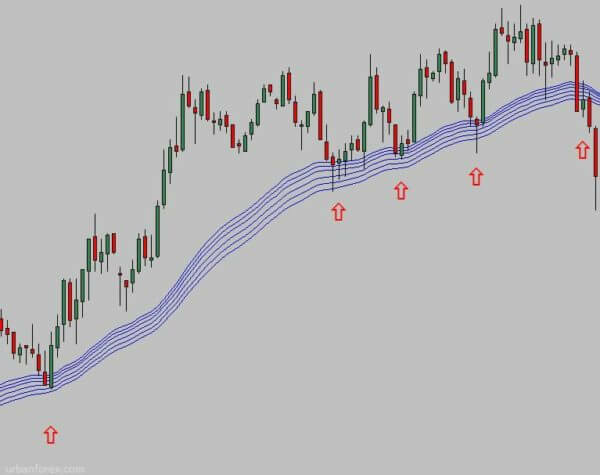 This technique was actually first used in forex trading and some forex traders hedge their positions using binary options as well. Regardless of the broker, you can make your trade successful by hedging. However, you will get good results if you look for brokers who offer huge payouts. Some brokers (such as TopOption) actually offer hedging as a part of their platform. The option of hedging with TopOption. What is binary options hedging? In order to successfully execute a hedging trade, you first need to have a profitable trade open, that you are afraid might end up in a loss. Suppose you have invested a total amount of $200 on a Call option and the price indeed does go up and you want to use hedging. Normally you would open a Put position with the same amount ($200) Let’s assume you are getting a payout of 80%. In that case, if the price rises, you can make a profit of $160 on the Call; while losing $200 on the Put. This is definitely not welcoming as it means that you are having a loss of $40. However, if the price goes back down, as you predicted when you opened the hedging Put position, your profit will be a great $320. See the figure below to get a better understanding of how this strategy works. On the image above, I first opened a PUT option. When the price went down by a lot, I was afraid that this would upset bullish traders who would push the price back up. Indeed, the price did go up as I expected and thanks to my hedging $30 position, I secured a profit of $63. Tips to Use the Advanced Hedging Strategy for Options Trading? As generally, both options of the trade should expire at the same time. Purchasing one option ahead of another is also a great way to put restriction on the loss percentage. Here, you are allowing the first option to bring in the money and then investing in the second one. By doing so, you can boost your profit percentage. If your first option is out of money and you think the price will continue going this direction, you can still hedge. You don’t always have to hedge with the same amount. 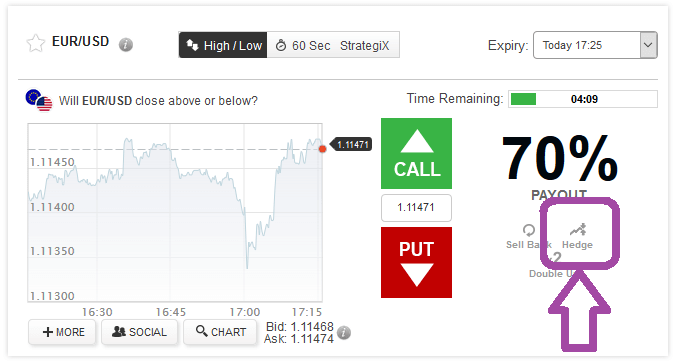 Hedging binary options is very easy!